Breathing is pretty important to us humans and asthma interferes with this. In order to keep asthma from diminishing our quality of life, we must find ways to make sure our airways stay open and allow us to breathe freely. So, how do we do this? Your doctor or respiratory therapist can lead you on a journey to find the proper medications or breathing aids to overcome your asthma and peak flow meters is one option that you may find effective. By performing a peak flow test, you can determine if your asthma symptoms are getting worse and an intervention is necessary. Asthma is relatively common and affects approximately 3 million people per year. To determine if your asthma is worsening, the use of a peak flow meter to perform a lung function test can give an early indication that intervention is necessary. Not only can a peak flow meter measure exhaled breath, but it also can help you learn what triggers your particular asthma, determine if medication needs should be altered, or help you decide if your asthma action plan is effective or should be altered. How to manage Asthma with Peak Flow Meters? Okay, your breathing problems have been diagnosed as asthma so what is the next step? Finding an accurate way to determine if your asthma is worsening or not can help you manage your asthma and develop a proper plan to head off any serious effects of asthma. The use of the peak flow meter allows users to measure how quickly air is exhaled from the lungs. This peak expiratory flow (PEF) is a good measure of whether your asthma symptoms are worsening. Where to buy Peak Flow Meters online? 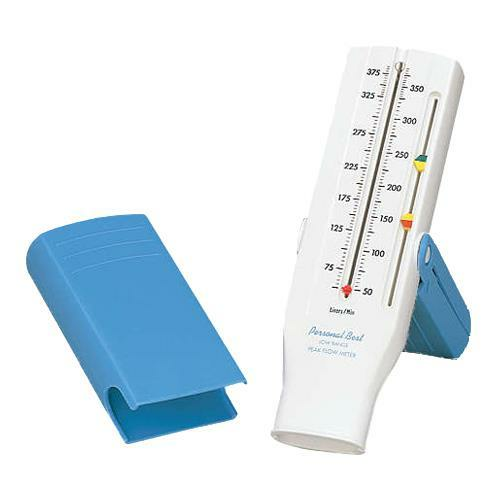 Monaghan TruZone Peak Flow Meter: TruZone peak flow meter is easy to use and can be used for both adults and pediatric asthma patients alike. It measures peak expiratory flow rates and has a small size that can improve portability. In low flow rate conditions it uses a unique logarithmic scale so pediatric readings can be as accurate as in adults. It has a measurable range of 60-800 L per minute and can help detect changes in your airways in order to detect any worsening of symptoms. Stay ahead of any potential problems! 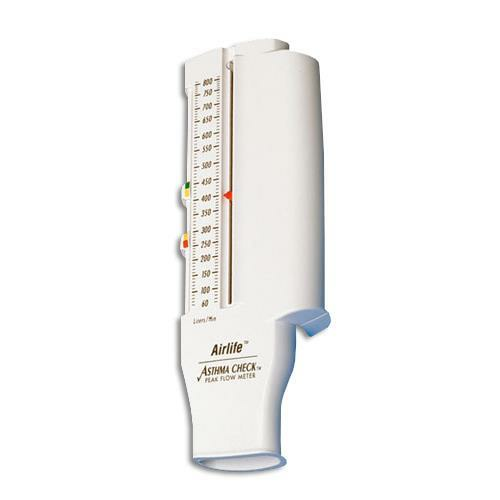 CareFusion AirLife AsthmaCheck Peak Flow Meter: With a built-in, three zone system that facilitates improved patient training and compliance, AirLife AsthmaCheck peak flow meter allows for some flexibility in setting zones to meet each individual patient’s needs. The linear scale measures 60-810 L per minute in increments of 10 L per minute and meets all ATS standards for accuracy and precision. Have peace of mind knowing that you can monitor any change in your asthma. Respironics Personal Best Peak Flow Meter: Designed to be lightweight and portable, Respironics peak flow meter allows for lung function tests to be performed anywhere. It uses a three zone management system to help patients comply with any treatment plan. For accurate readings it has full and low range options and has a one-way valve to prevent patients from inadvertently breathing in air during peak expiratory flow testing. Asthma can become a life threatening event. Having an active asthma action plan can help those who suffer from asthma breathe easily even in the face of an asthma attack. By monitoring your ability to exhale properly with a peak flow test, you can stay one step ahead of your asthma and head off any potential problems while maintaining your quality of life.